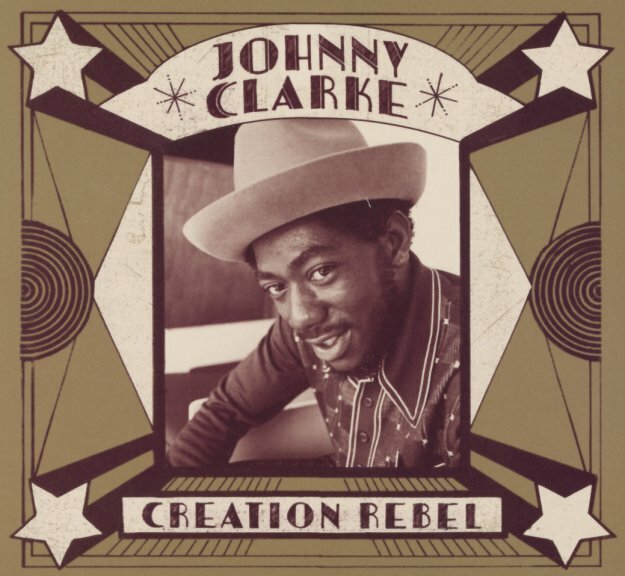 Fantastic work from Johnny Clarke – one of the younger Jamaican vocalists to emerge in the 70s – given that he started recording at a time when the music had already crossed the Atlantic and was making some big global waves – leaving it to singers like Johnny to bring the whole sound back to the roots! Clarke's got this moody, almost mysterious way of singing – yet a vibe that's every bit as soulful as some of the more straightforward vocalists of the generation before – and that moody approach makes for a perfect blend with the gritty production work of Bunny Striker Lee, which often has the bass end of the speakers blasting out as much as the higher, warmer waves of sound from Johnny. This double-length collection might be the best we've ever seen on Clarke from the classic years – and it features great notes and detail, in the top-shelf 17 North Parade style. Titles include "Enter Into His Gates With Praise", "Age Is Growing", "Peace & Love In The Ghetto", "Fire & Brimstone A Go Burn The Wicked", "African People", "King In The Arena", "Blood Dunza", "Dread A Dread", "None Shall Escape The Judgement", "Jah Jah Bless Joshua", "Commercial Locks", "Move Out Of Babylon Rastaman", "Top Ranking", and "Roots Natty Congo". © 1996-2019, Dusty Groove, Inc.